The best climbing of the Massif des Ecrins await you: Les Agneaux, Le Rateau, La GrandeRuine, acrossing La Brèche de la Meije(3983m) by the Enfetchores. The office of guides is available to help us or accompany you. 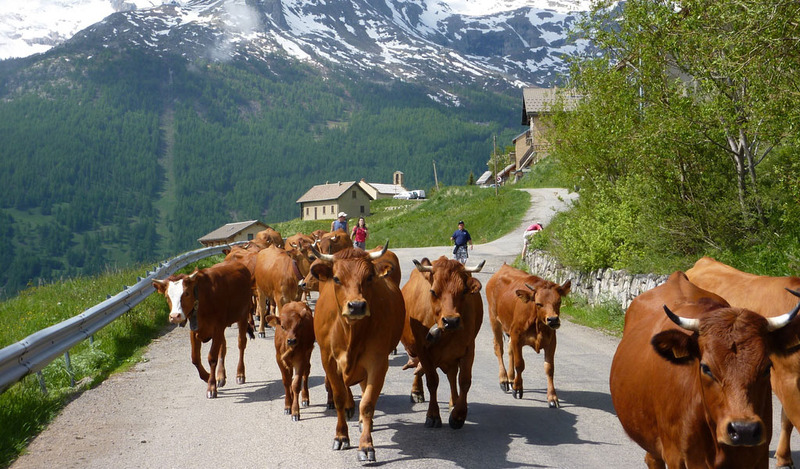 La Grave is the departure point for numerous hiking trails to high mountain pastures , lakes and springs. Refuges can be rented. La grave is on the GR54 Tour de l’Oisans. The route of the mines: the longer via of France take in the entrances to 19th century mines. On certain Saturday, the passes Galibier and Isoard are closed to cars and reserved for cyclist. Experience the sensation of hang-gliding across the glaciers of the Meije and the villages of La Grave with professional pilots. You can fish for trout , char and verron in the mountain lakes or in the Romanche.